Scroll down to see “Comment” at the end of post. 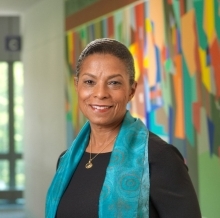 “What we mean by ‘building a Culture of Health’ is shifting the values—and the actions—of this country so that health becomes a part of everything we do,” said Risa Lavizzo-Mourey, MD, MBA, president and CEO of theRobert Wood Johnson Foundation (RWJF), during her keynote address at Spotlight: Health. RWJF is a founding underwriter of the two-and-a-half day expansion of the annual Aspen Ideas Festival. “When it comes to building a Culture of Health, I believe a decade from now we will have a powerful story of how we resolved to no longer accept that our nation spends more than $2.7 trillion dollars on health care, and yet continues to lose $227 billion dollars in productivity each year because of poor health,” she said. Lavizzo-Mourey told the audience—which included health thought leaders from around the country—that building a true Culture of Health means changing our current understanding of health and creating a society where everyone has the opportunity to lead a healthy life. 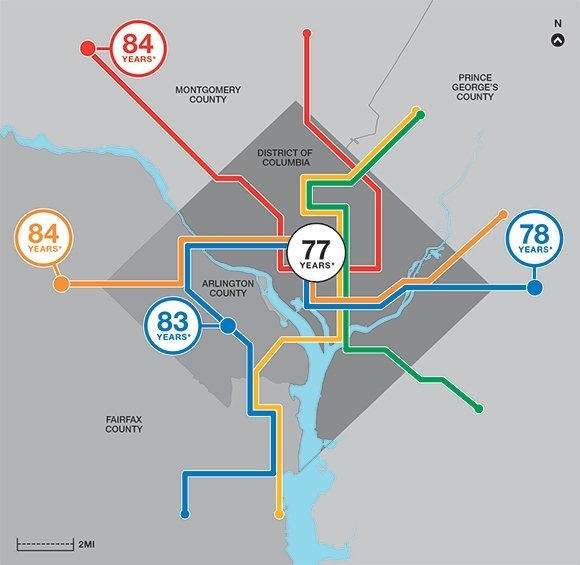 She gave the example of the Metro system in Washington, D.C., where babies born in the region of the Red Line—which intersects some of the wealthiest counties in the country—can expect to live to be 84 years old. However, babies born just a few stops away will have lives that are up to seven years shorter. Helping patients with things such as housing and food assistance at every medical visit. Changing the workplace culture to be a healthier one, including using stairs instead of elevators and holding standing or walking meetings. She also enumerated several key ways that RWJF is working to build a sustainable Culture of Health, including committing $500 million toward reversing the U.S. childhood obesity epidemic; helping to ensure that everyone who is eligible for health care coverage knows about the benefits available to them; encouraging businesses to take the lead in investing in the wellbeing of the communities they serve; and addressing community violence. A pastor in Hernando, Miss., banned fried chicken from church suppers and replaced the dish with healthy potlucks. The church also added a walking track around the building and a blood pressure monitor in the lobby. The Playworks program provides safe, healthy and inclusive play and physical activity to schools at recess and throughout the entire school day. Communities are going to build the Culture of Health that serves them best, said Lavizzo-Mourey, pointing to the six communities that won the inaugural RWJF Culture of Health Prize last year. Later in the day, after her speech, RWJF announced its 2014 Culture of Health Prize winners: Brownsville, Texas; Buncombe County, N.C.; Durham County, N.C.; Spokane County, Wash.; Taos Pueblo, N.M.; and Williamson, W.V. In the question-and-answer period following the keynote address, audience members offered ideas to promote a culture of health. They included a return to home economics classes; a community program in Durham, N.C., that links patients to specialty practices; and successful efforts by the Taos Pueblo Native American tribe to retain their cultural customs as they improve their community health. “We have to learn how to bring in diverse groups so health becomes very personal to each group but at the same time allows us to be healthy,” said Lavizzo-Mourey. A CULTURE of Health …. Public Schools are a neighborhood ‘center’, dealing day-in, day-out with the majority of children in the community: in some ways analogous to a ‘clinic’; seeing outpatients extremely regularly. These public school ‘clinics’ have immeasurable potential for building a grassroots “Culture of Health”, particularly in Urban centers with high-density children and high-density schools. In context, the current paradigm for Public Education is failing, across our country, most noticeably in Urban centers. We require a MAJOR paradigm shift in Urban Education. Incremental adjustments are like (as David Sciarra of the Education Law Center said): “rearranging deck chairs on the Titanic”. The customer, child, must be first, even for those who insist on a charter ‘business model’. Bona fide, successful businesses start with the consumer. If the Child, consumer is first, then the MAJOR shift in the urban education paradigm is to deal with the whole child, starting with chronic, urban, or complex trauma and its neurobiological effects. We have been simply “incrementalizing” around the edges. (Charter Schools, Common Core, “Technology”, Standardized Testing, Curriculum tweaks, more funding, less funding, cut teacher pay, increase teacher incentives, eliminate tenure, Zero Tolerance discipline, longer school days…). It is not either/or, it is both: Public Education and the Healthcare System striding together, children flourishing from mutual objectives. The Public Education Paradigm will need to make some key strides in accountability for ‘whole child’ health, if it is to be successful in its educational mission. A more explicit, accountable “healthcare perspective” for the millions of children in the educational “clinic” each day. The Healthcare system will need to take accountability for the ‘whole child’, beyond nutrition, beyond dental care, beyond immediate physical health today or this week. A more explicit, accountable “education perspective”. Yes, some examples exist of parallel pursuit of temporal physical health and education, via shared space and shared ‘customers’, but I envision a much deeper Paradigm, with the whole child reaping synergistic advances, well beyond sharing space and well beyond today or this week. The children will be regularly at the education ‘clinic’ for 12 years+. Imagine the synergistic possibilities on our way toward a Culture of Health! Of course this holistic view will require shifts (orders-of-magnitude shifts) in values, and moral accountability, then driving action. It will need to become part of all that both systems pursue. A crucial, specific example: Presently, the largest “whole child” issue confronting Urban Educators is captured at the intersection of Adverse Childhood Experiences (ACEs) and the neurobiology of the developing child’s brain. ACEs injure developing, young brains. Trauma-impacted children are not “sick”, or “bad” children, they are Injured. ACE incidence has been shown to be greater than English Language Learners(ELL) and those with an Individual Education Plan(IEP). No educational system can successfully make the gains we all desire while ignoring the health impacts OR educational impacts of childhood trauma. Public Education systems could greatly benefit with help from Healthcare system in effective, efficient screening all incoming customers for ACE scores, and ultimately treating the injuries. We will all also benefit from cross-education(training): What is an ACE? How do ACEs impact developing children’s brains and school-wide practices? How do we effectively respond to ACE symptoms and defenses in the classroom and across the campus, and community, without causing further injury? This is not about “blame”. No matter what, the injured children are coming through the school door every day. The Educational Mission cannot be achieved solely via academic effort. We will lose. We are losing. There are so many legitimate aspects to failure in Urban Education that we miss seeing the whole child, and the impact of chronic urban trauma, the Failure Elephant in the room. When we ignore the whole child, we ignore the key variable. It renders other data analyses impotent at best, and destructive at worst. Instead, we must exhort each other to a much more complete, healthy vision! FOR MORE, SEE : Failing Schools or Failing Paradigm? and see “Peek Inside a Classroom” (“Jasmine”, or “José”, or “Danny”, or “Roberto”). Previous PostThe Rush to Charters Ignores Real IssueNext PostPeek Inside a Classroom: Failing Schools, or Failing Paradigm ?